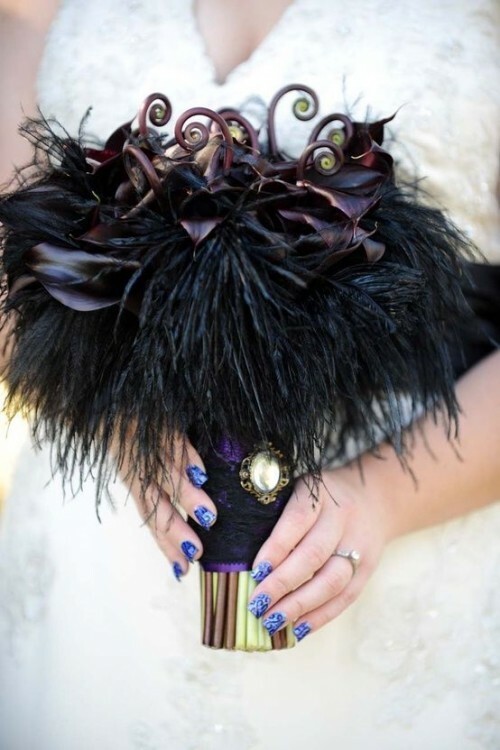 Halloween weddings are close and we’ll soon enjoy the Gothic-like weddings. 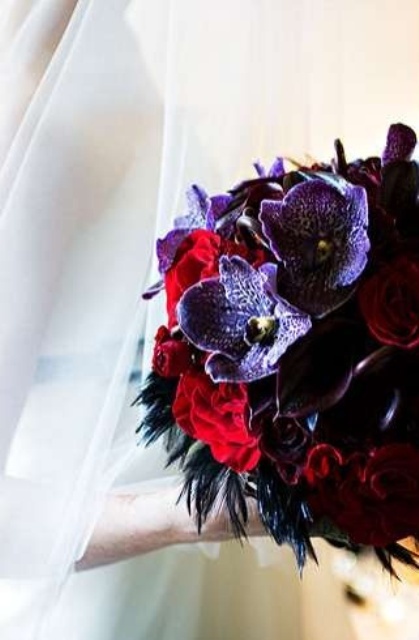 Florals are an important part of any wedding and they add special charm and help to create the atmosphere that the couple wants. 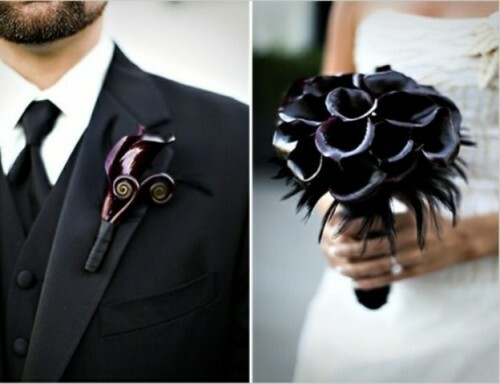 A wedding bouquet and a boutonniere are the most personalized florals as they are worn by the bride and the groom. 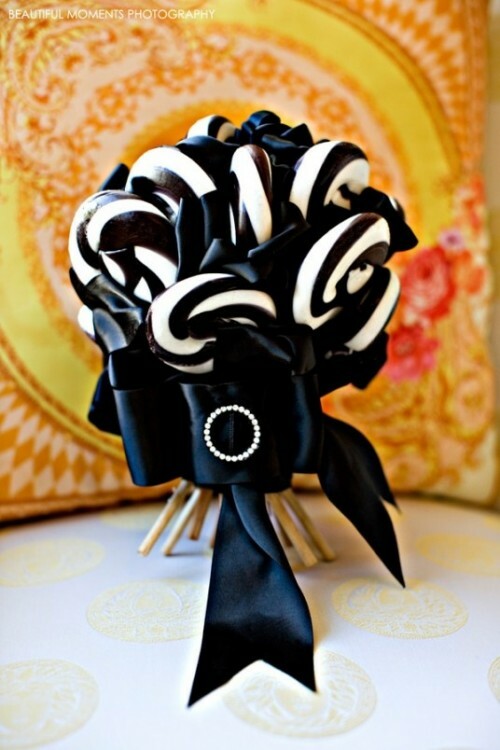 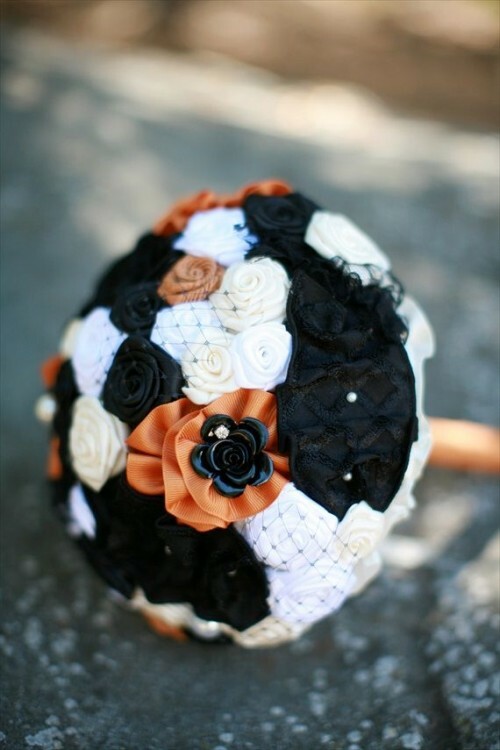 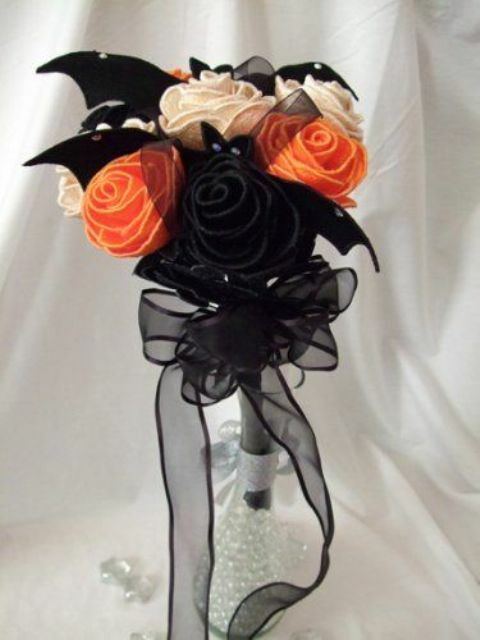 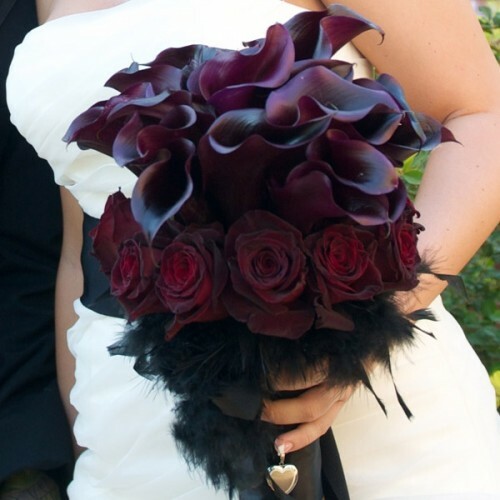 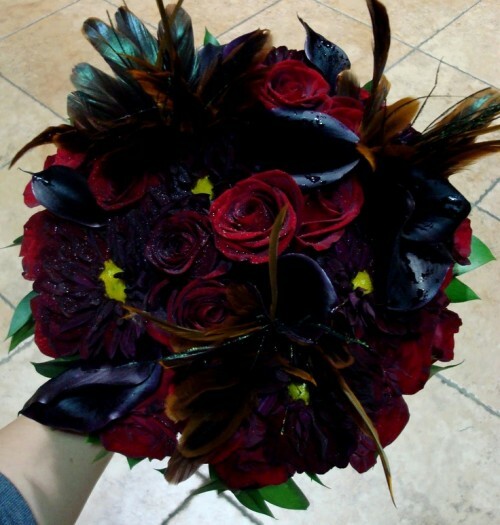 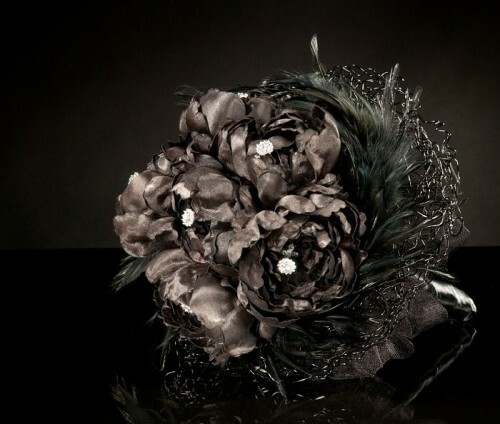 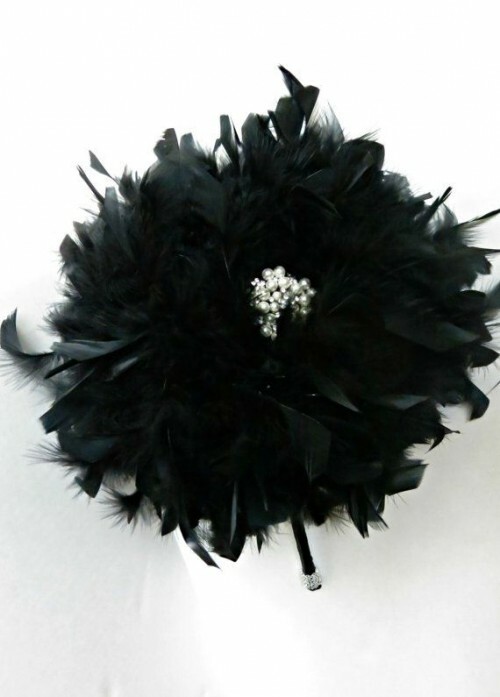 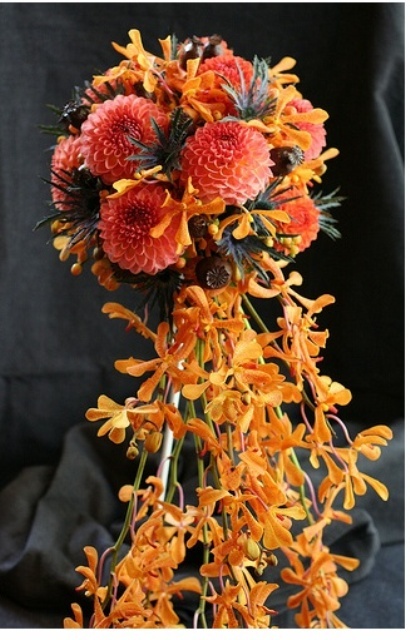 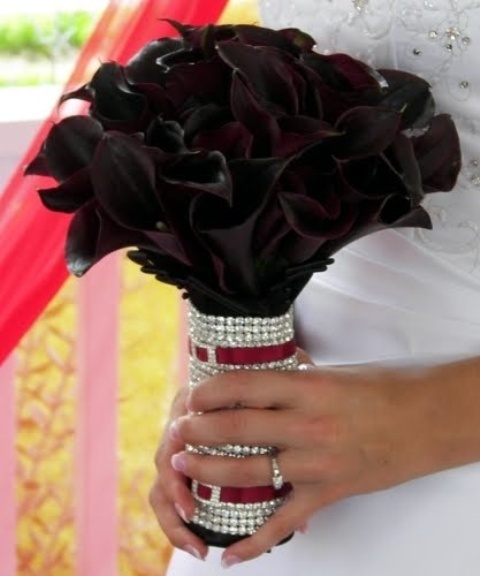 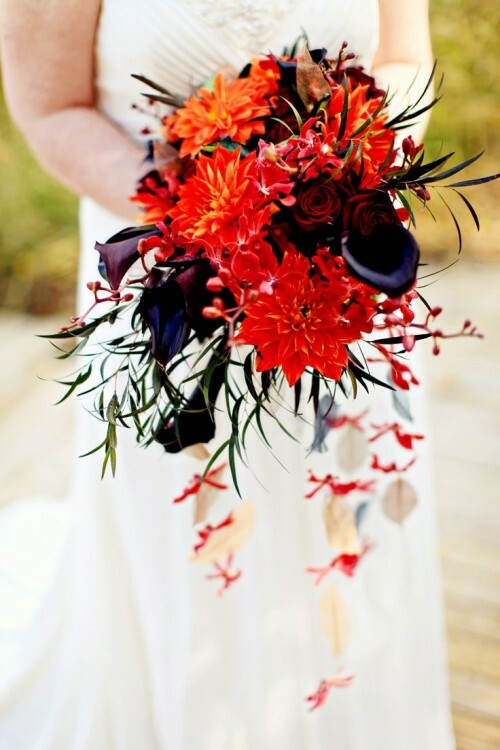 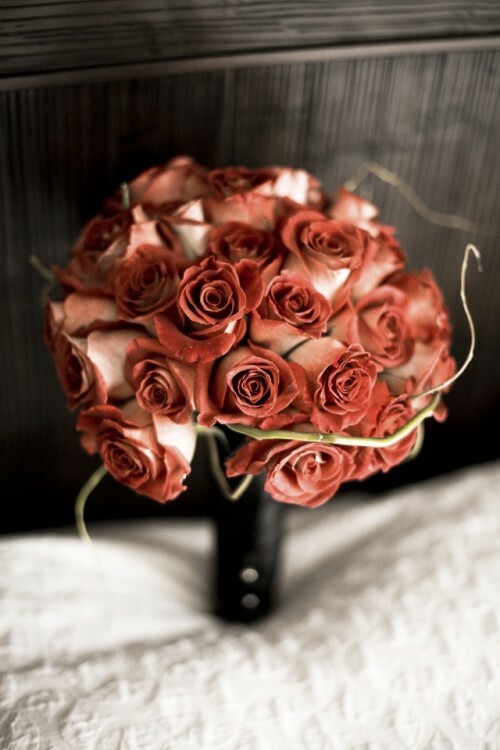 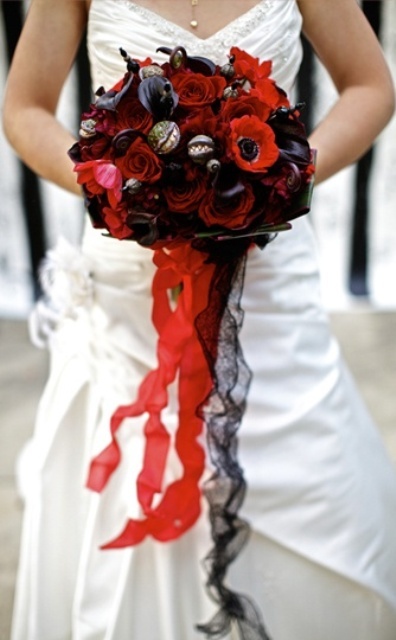 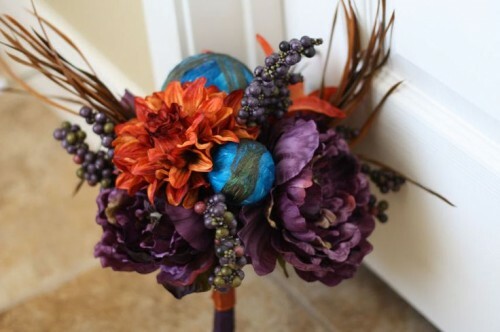 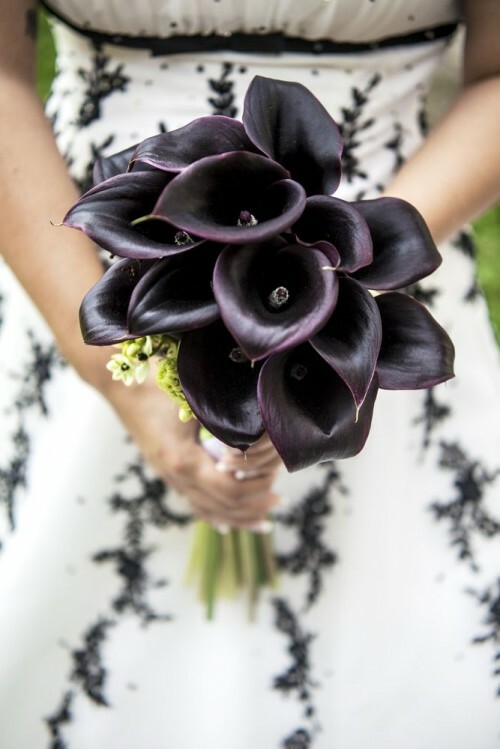 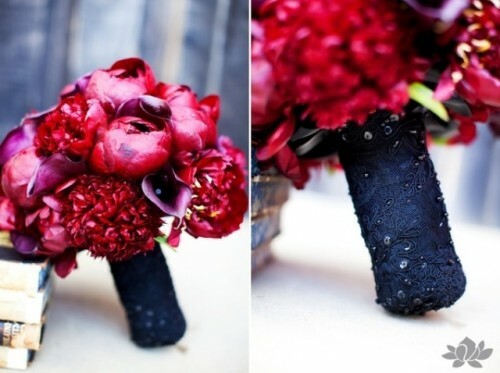 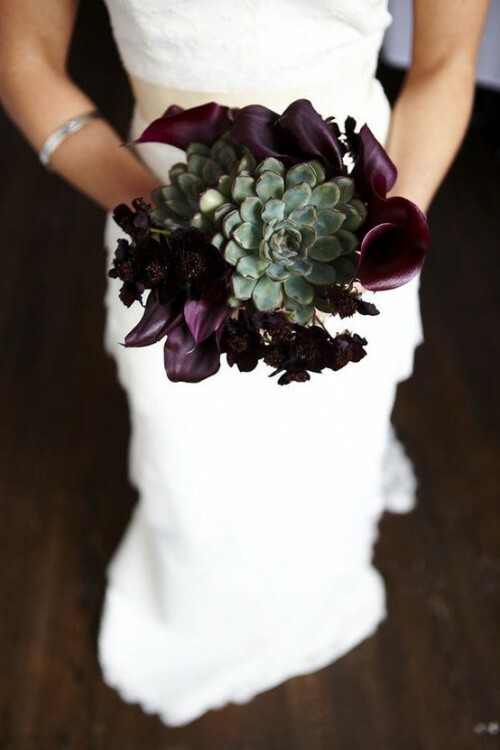 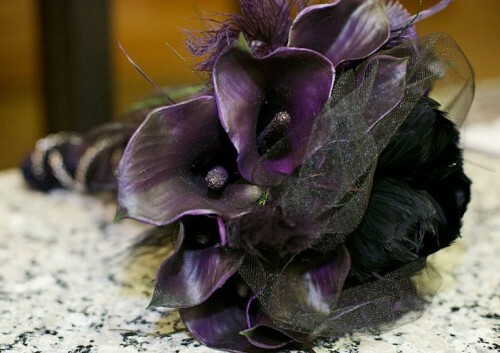 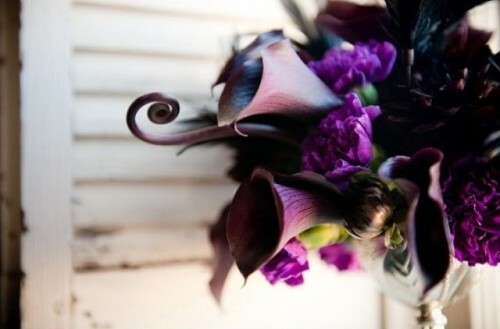 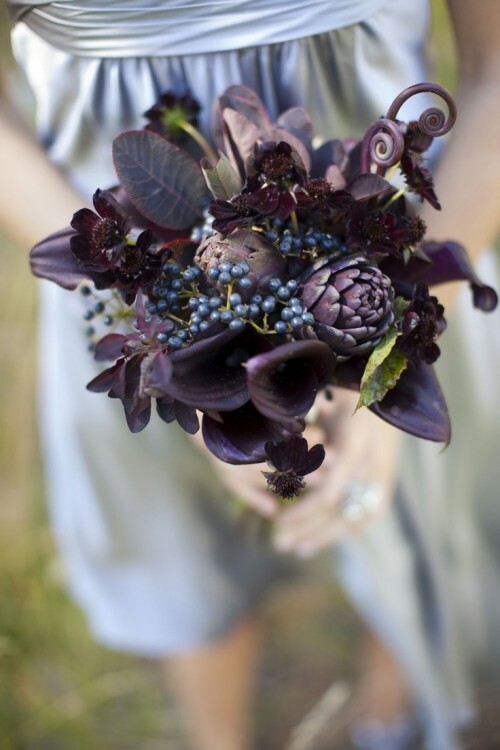 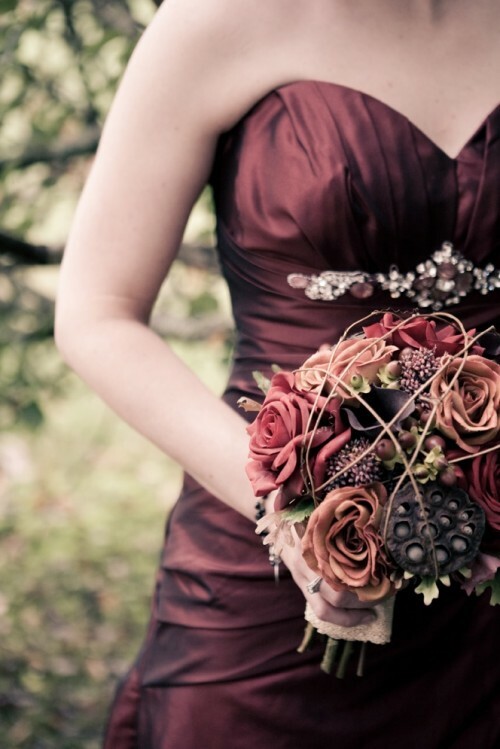 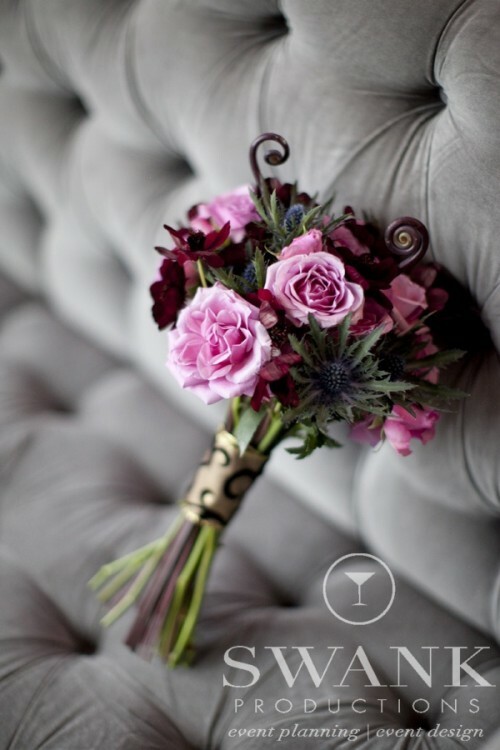 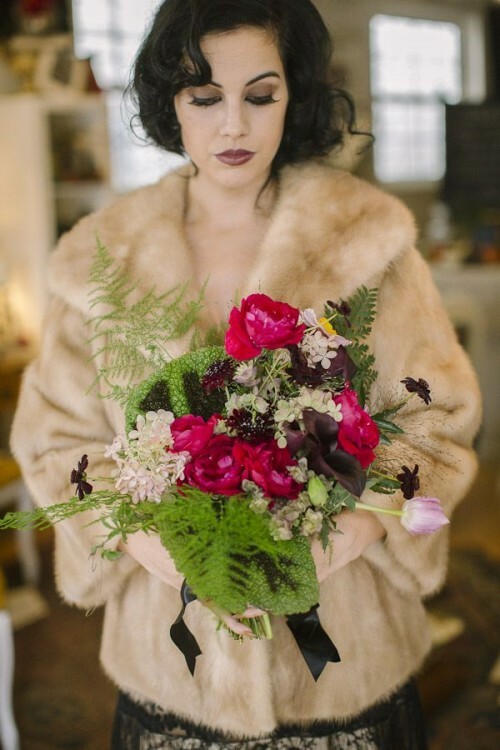 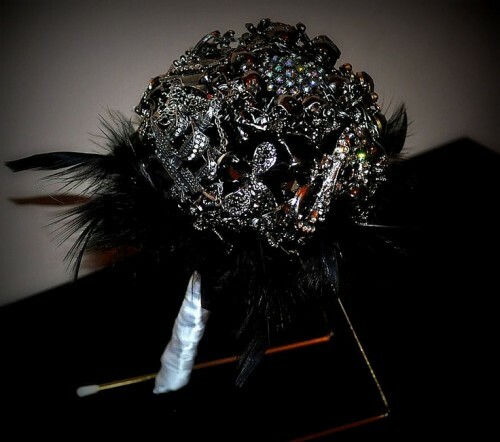 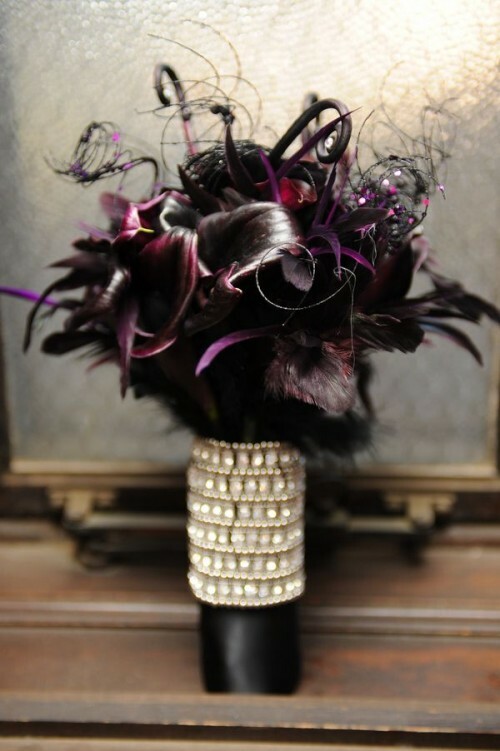 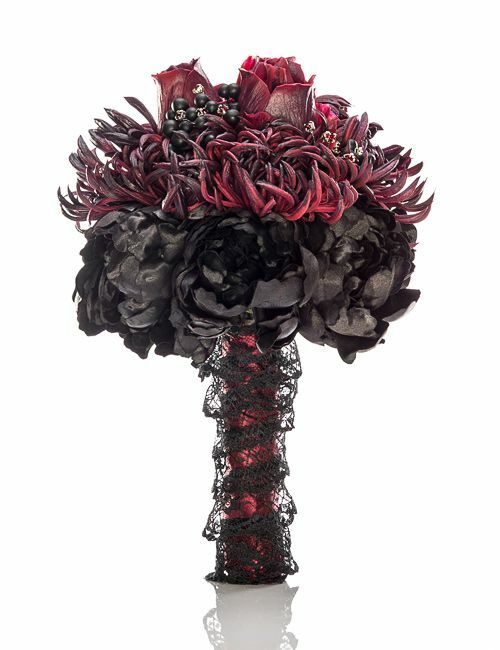 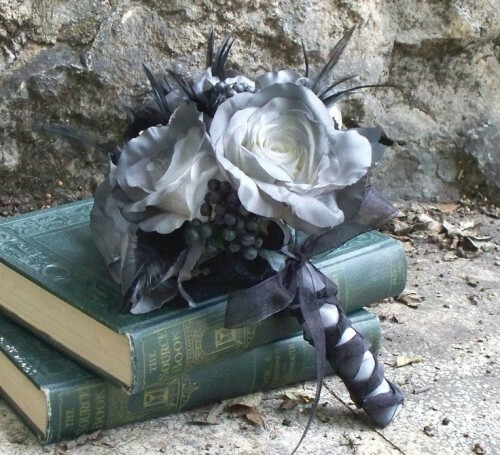 A wedding bouquet for a Halloween wedding can be a little bit gloomy, with touches of dark romance. 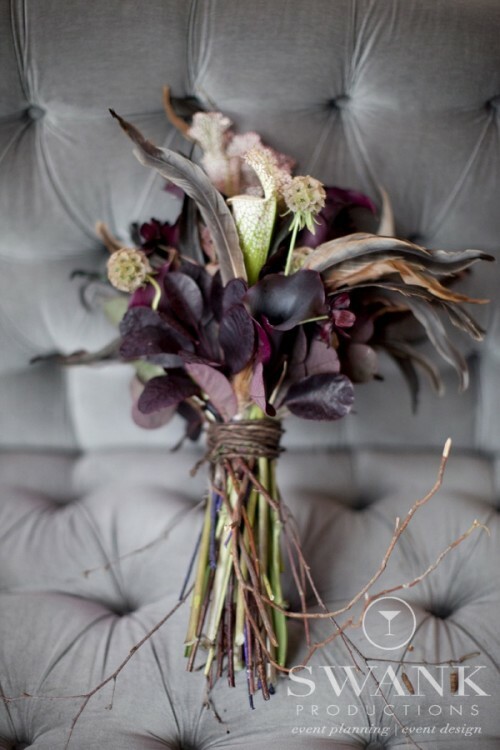 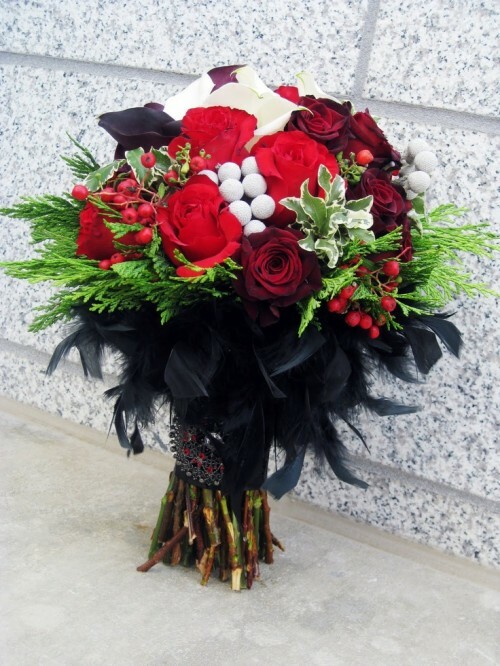 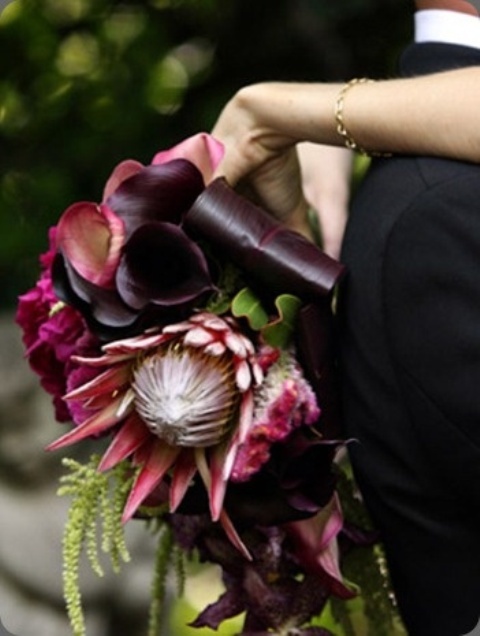 Dark or red flowers, feathers, fabric flowers and even succulents added – these are ideal components for such a piece. 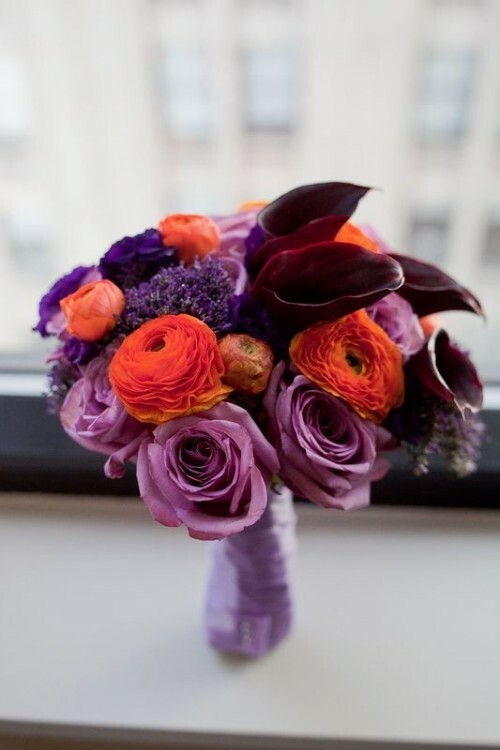 Look at some amazing examples below and pick some for your big day!